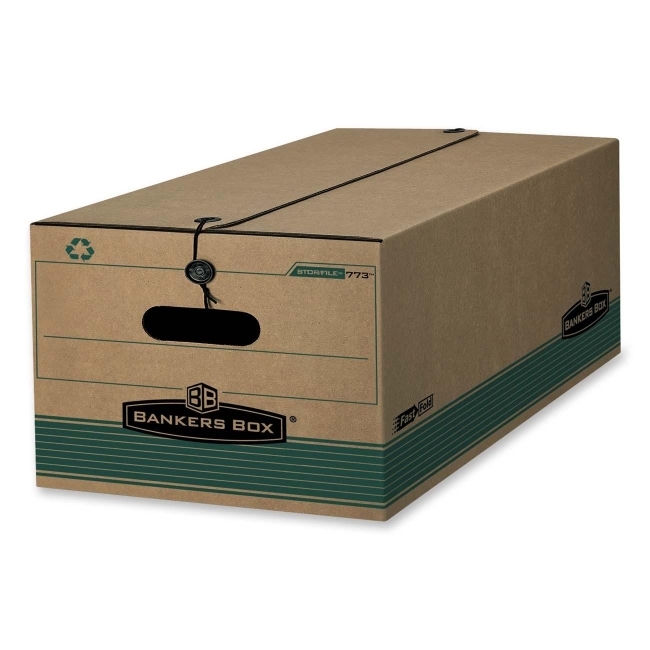 Environmentally friendly box offers a string-and-button closure to keep contents secure, even if box is overturned. Medium-duty construction is ideal for moderate stacking or for use with shelving. FastFold One Step Setup makes box assembly fast and easy. SFI certified storage box contains 100 percent post-consumer material.